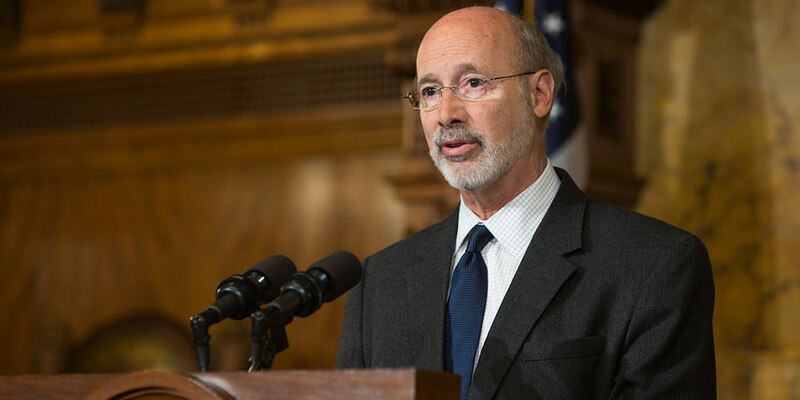 Harrisburg, PA – Governor Tom Wolf, First Lady Frances Wolf and the Governor’s Advisory Commissions today sent a joint letter to members of Congress from Pennsylvania in support of young undocumented Americans who entered the country as minors and obtained protection from deportation under the Deferred Action for Childhood Arrivals (DACA) program. The letter was co-signed by the Governor’s Advisory Commissions on African American, Asian Pacific American, and Latino Affairs, and the Pennsylvania Commission for Women. We stand united in urging you to act immediately to protect and preserve the Deferred Action for Childhood Arrivals (DACA) program. DACA brought a degree of stability and security to approximately 800,000 young undocumented Americans who entered the country as minors. It allowed them to step out of the shadows and gain protection from deportation and work authorization for two-year periods, if they first passed a criminal background check and continued their education. According to the Migration Policy Institute, 7,144 young Pennsylvanians have benefited from DACA thus far, about 8,000 additional young people are currently eligible to apply, and approximately 5,000 more would become eligible in the future. DACA opened the doors to higher education and better paying jobs for them, allowing them to better contribute financially to their families and communities. A recent nationwide survey found that 95% of DACA recipients nationwide are either in school or working. Of those employed, 63% moved to jobs with better pay. They contribute to our economy through their labor, their support of local businesses, and their taxes, although they do not qualify for public benefits. The nonpartisan Institute on Taxation and Economic Policy found that DACA beneficiaries contributed over $20 million to Pennsylvania in state and local taxes in 2016. Ending DACA would cost Pennsylvania $13.2 million in state and local taxes and, according to the Center for American Progress, nearly $357.1 million in annual GDP losses. While statistics are important, it is crucial to humanize these numbers. DACA beneficiaries have lived in the United States since they were children. They have grown up in our communities and know no other country. They are our family members, our neighbors, and our coworkers. They are athletes, artists, professionals, and public servants. They are not and should not be a priority for deportation. The threat to the program cruelly and unnecessarily brought uncertainty back into their lives. They, their employers, and their communities deserve better from our government. Most Americans agree that we should not sacrifice their futures for political gain. A recent survey of registered voters conducted by Morning Consult found that 78% of American voters support giving young undocumented immigrants the chance to stay permanently in America. We firmly believe that DACA is working for those whom it protects. We strongly urge Congress to pass the DREAM Act to keep young immigrants here in Pennsylvania and the United States where they can contribute to our economy and our country.